SmartSpace Calendar provides a simple and complete solution for meeting room management, allowing you to book and manage your meeting spaces with ease. Create an efficient and agile environment that makes the most of your offices and entire real estate, and reduces costs across the board. Find the closest room that’s the right size, with the equipment and facilities you need. Integrate with Microsoft outlook and Google Calendar, book on mobile, online, at reception, or make instant bookings at the meeting room door. SmartSpace Calendar enables you and your teams to book meeting rooms with ease. Maximise usage, efficiency and collaboration to create agile workspace environments. Monitor utilisation of your meeting rooms and track their usage. Present statistics, and analyse live and historical usage data so you can understand exactly how your spaces and real estate is used. 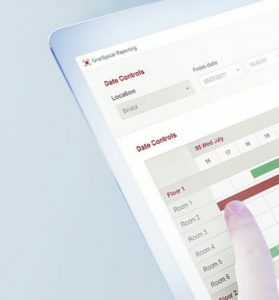 With the SmartSpace Calendar dashboard and customisable triggers, SmartSpace Calendar gives you a live view of your buildings, enabling real-time reactions to live and changing circumstances. 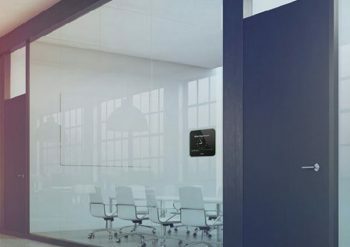 With SmartSpace Calendar , your calendars are plugged right into the modern and beautifully designed touch panel outside your meeting rooms, enabling a complete cloud-enabled digital solution. Real time information, display screens, check-ins, floor plans… it’s all at your fingertips. Combined with our meeting room booking panels and touchscreens, Video Conferencing and AV, and your company’s Microsoft Outlook calendars, we can provide a complete management solution for your meeting spaces, with real-time reporting, monitoring and mapping for a fully connected workspace.